Check Below For Discounts Up To 15%! 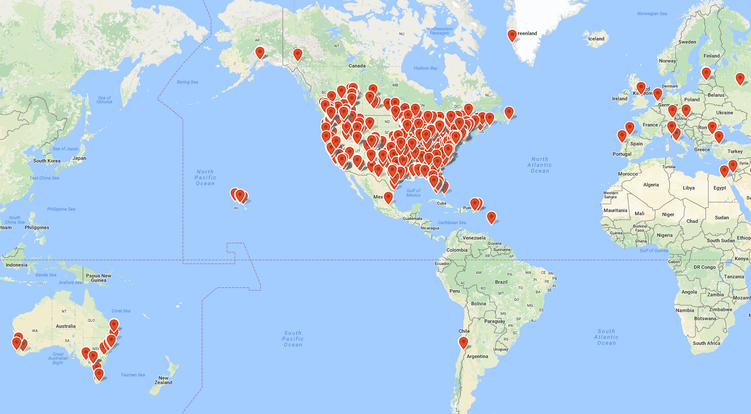 Peak Sails has quickly grown to become North America's largest independent sailmaker since initiating production during the fourth quarter of 2012. Sails Built For Over 375 Different Production & Custom Boat Models. In addition to our retail division, our commercial department provides design and contract production services to several independent sail lofts, yacht dealers, brokers and retailers. When the time comes to purchase a new sail, we urge you to do a little research. You can literally save hundreds of dollars on your purchase by spending a few hours on your computer and phone. 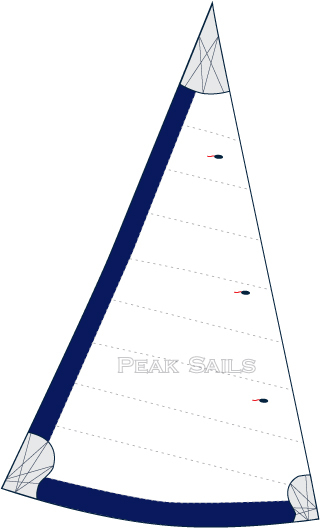 Peak Sails is able to build and deliver a new sail faster than any of our competitors. The Peak Sails warranty is one of the best in the industry. We are often asked why our prices are lower than some of our competitors. Over 90% of all polyester fiber sails sold worldwide today are built by a small handful of large production lofts primarily located in Asia. They all pay the same price for raw materials and labor costs are similar despite being located in different countries. Add their need to grow market share and the result is each charging about the same price for any given sail. If the cost to build a sail is approximately the same throughout the industry, why do you see such a large variance in retail prices? Discounts Up To 15% Now Available! We are pleased to announce that our popular Annual Fall Sale has returned. Performance, longevity and affordability. Compare our sails against the competition and you will find there isn't a loft (large or small) that can offer a better built sail regardless of price. Note: The above discounts are available on new orders placed between March 21st through April 31, 2019 and cannot be combined with any additional promotion. News: "Maverick", Powered by Peak Tri-Radials Wins At Newport to Ensenada! 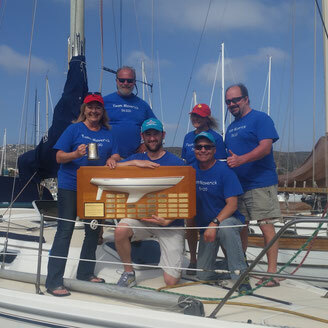 Congratulations to Bill Brayton and crew of "Maverick", a Catalina 36, for winning the Frank Butler Catalina Tophy for Best Corrected Time at the prestigious Newport to Ensenada race. 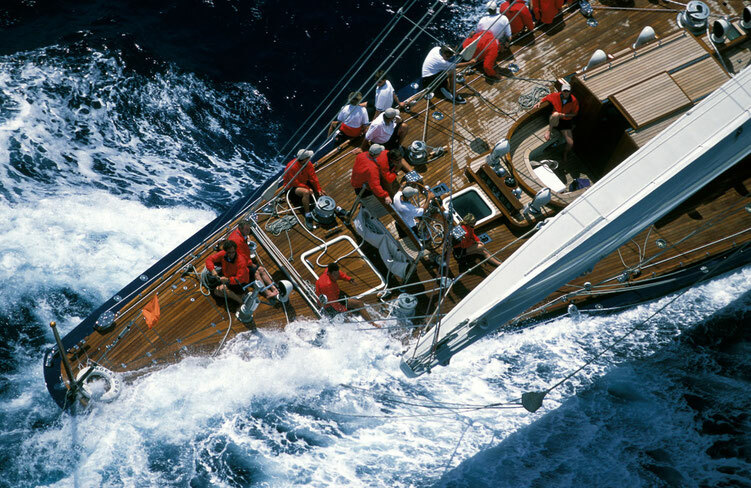 In addition, "Maverick" finished 2nd in PHRF Division K. All told, she bested a fleet of 40 yachts. We would like to extend our thanks and appreciation to Bill for powering "Maverick" with a new Peak Tri-Radial Performance Series mainsail. Watch The San Francisco Annual Plastic Classic Regatta! Go aboard "Predator", a Hobie 33, while she races in the Bay View Boat Club's "Plastic Classic" regatta. "Predator" sports a full set of Peak's Tri-Radial Perfomance main and headsails as well as a prod-mounted full radial asymmetrical spinnaker. Peak Sails is a proud sponsor and supplier to community, yacht club and American Sailing Association (ASA) instruction programs throughout the USA.